Retaining walls - retainer wall engineering, design and build. 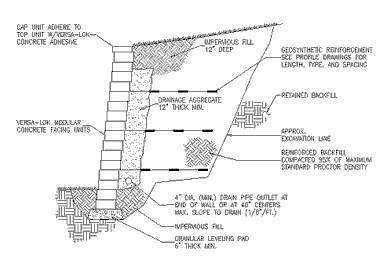 Designing any retaining wall requires a knowledge of lateral earth pressure. We know how to design your wall not only so that it is appealing to the eye but also for stability. This includes checks for wall overturning, base sliding, and soil bearing capacity failures. After the wall is sized, each wall member is checked for adequate strength and reinforcing is determined. 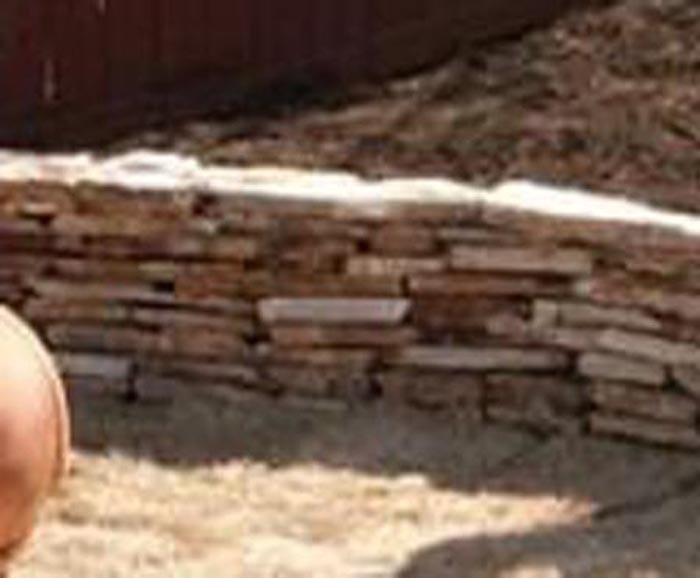 One of the most common and telling failures of retaining walls is the inevitable tilting, cracking and bowing of brick, timber and concrete block retaining walls built by homeowners, well meaning builders, and landscapers. These 'problems' truly are failures, since the wall has not performed the task it was built to do, and that is to hold back the soil. The failures also clearly demonstrate the lack of knowledge or design that is required by a successful retaining wall design. By understanding how a wall works, and how it can fail, it is possible to engineer a retaining structure that will meet all foreseen environmental, structural and construction demands. Or a retainer wall to solve a real need. Retainer walls provide lateral support to vertical slopes of soil. They retain soil which would otherwise collapse into a more natural shape. One of the many benefits can be that more of your land becomes not so steep and therefore more usable. 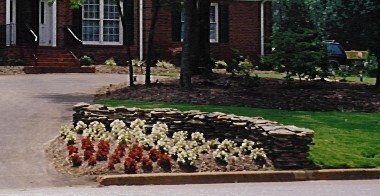 Retaining walls can be constructed of many different materials and with a variety of building techniques. 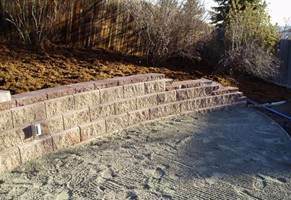 Regardless of material or style, we engineer your retaining wall so that it will last. Our initial consultation is always free. Phone Rich any time at (864) 680-9842. Or email us by: clicking here for more information.